The S.S. John Glenn – ferrying three and a half metric tons of cargo to the orbiting outpost – had originally been booked for a stay of three months with a notional departure of July 16, however, these plans changed when a day opened up on the crew’s packed schedule due to the delay to the launch of the Dragon SpX-11 mission from Thursday to Saturday as the result of bad weather at Florida’s Space Coast. 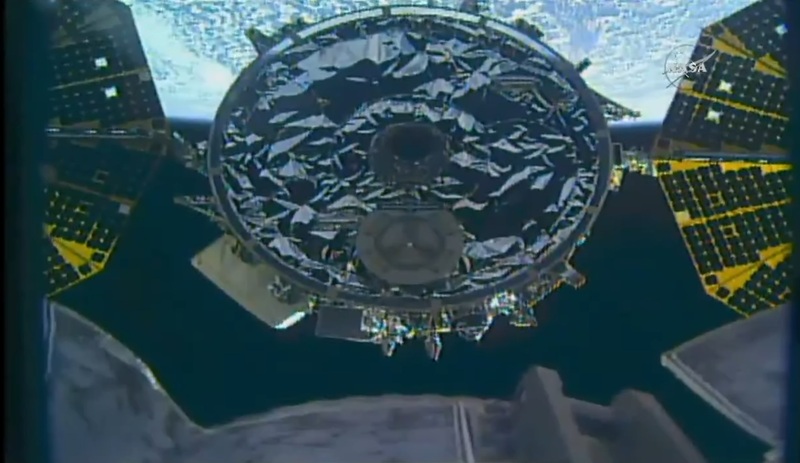 The decision to accelerate the mission’s departure was purely driven by operational constraints and is no reflection of Cygnus’ performance as the spacecraft functioned admirably throughout its stay on the underside of the Station’s Unity module. 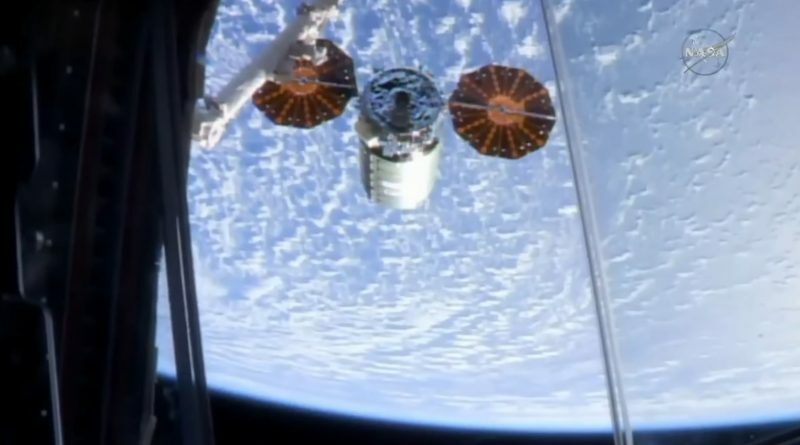 NASA noted the early departure – prior to Dragon SpX-11 arrival – would take pressure off the crew’s schedule in June and July, allowing them to focus on the science delivered by the upcoming Dragon that is currently inbound for a robotic capture on Monday after lifting off Saturday night. The drive behind freeing up as much crew time as possible for science operations arises from the current staffing situation on ISS with only three crew members on board through July 28. 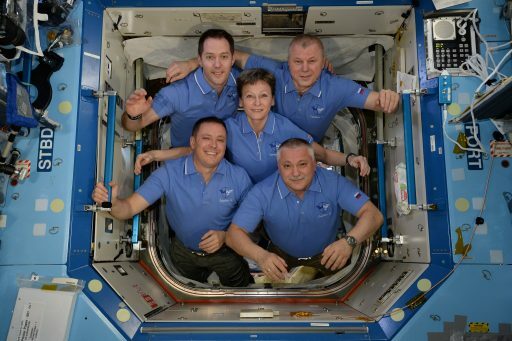 Expedition 52 crew members Fyodor Yurchikhin, Peggy Whitson and Jack Fischer bid farewell to their colleagues Oleg Novitskiy and Thomas Pesquet as they set sail on their Soyuz MS-03 to head for a late afternoon landing in Kazakhstan, closing out a 196-day mission. Typically, the next Soyuz would be inbound within two weeks to top up the Station’s crew at six, however, a lengthy delay to the Soyuz MS-05 mission will necessitate a longer three-crew segment. The cause for the delay was a technical defect on the Soyuz #734 vehicle originally intended to fly the Soyuz MS-04 mission, requiring that craft to be replaced with the next Soyuz in line (#735) that was being readied for the MS-05 mission. As a result, Soyuz MS-05 will have to wait for Soyuz #736 that had not been at an advanced stage of pre-launch processing yet, leading to the two-month slip to MS-05. With only two crew members on the U.S. 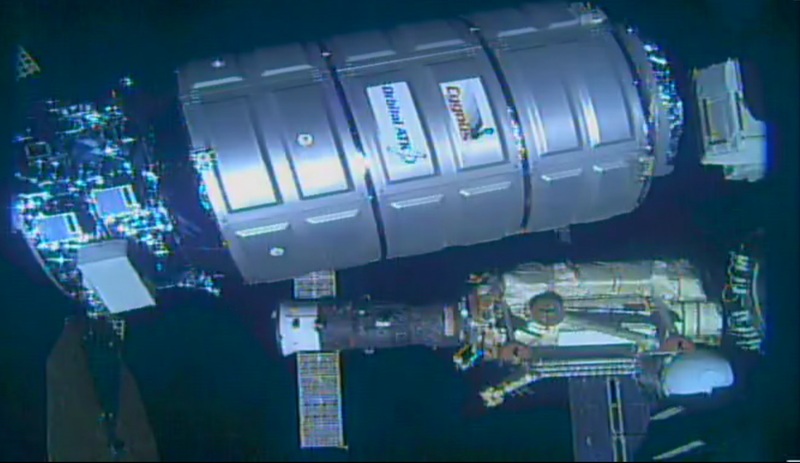 Segment in June/July and dozens of experiments heading up on the Dragon mission, teams were already looking at a cramped timeline for Whitson and Fischer, thus getting an extra day to unberth Cygnus prior to Dragon’s arrival was a welcome opportunity to slightly decompress the crew’s timeline down the road. An early unberthing option had been in the plans for this mission all along as transfer procedures related to OA-7 were deliberately set up to finish before the Soyuz MS-03 departure. The SAFFIRE-III experiment was installed on May 22 and final disposal cargo items were loaded on May 29 after very efficient work by the Expedition 51 crew to transfer 3.5 metric tons of cargo over to ISS in a period of just five weeks. 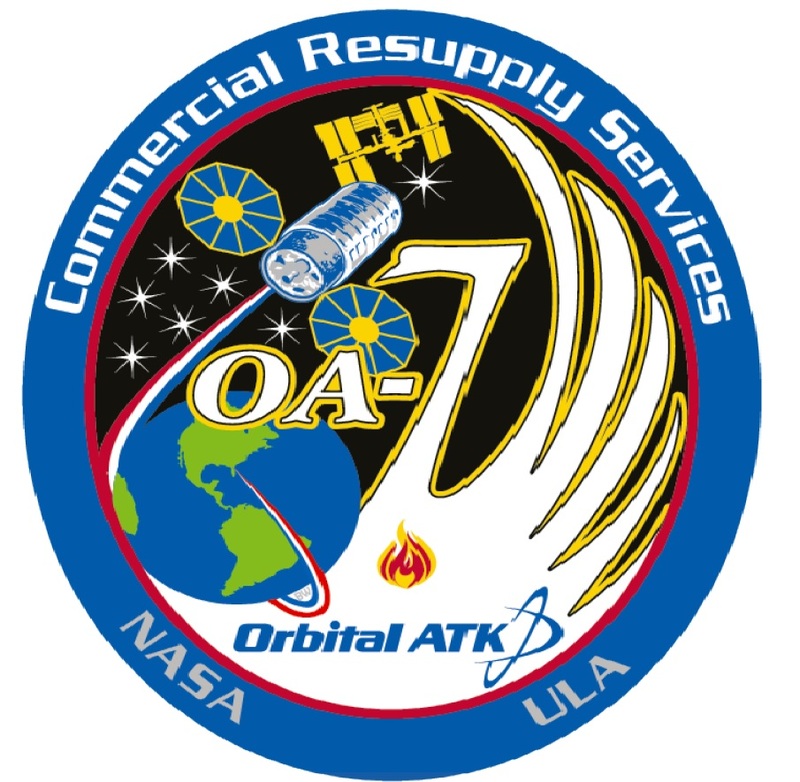 Cygnus OA-7 arrived at ISS back on April 22 after a four-day rendezvous following a flawless launch atop an Atlas V that was chosen as this mission’s launcher to maximize the cargo upmass heading to ISS in support of a very busy summer of science operations. All in all, Cygnus was loaded with 3,376kg of cargo, ranging from supplies such as food for the crew and sanitary items to complex systems hardware like NASA’s Advanced Plant Habitat and a new low-cost device enabling heat shield materials to be tested in the actual environment of re-entry. 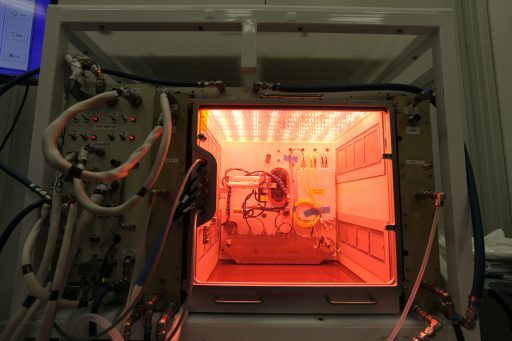 The Advanced Plant Habitat is NASA’s largest plant-growth facility developed for deployment to ISS to gather information needed by the space farmers of the future that will rely on plants as a source of food and to recycle carbon dioxide on missions taking them to distant targets in the solar system. 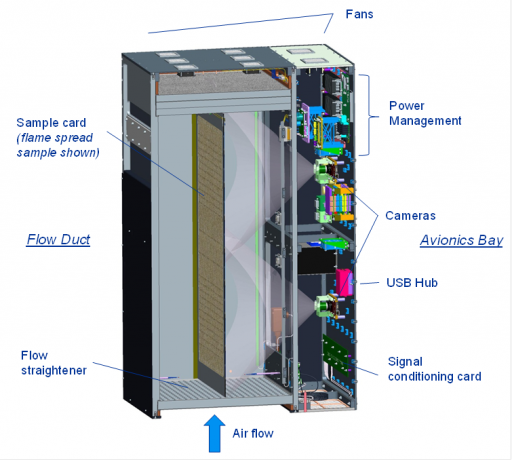 Cygnus also carried four powered laboratory freezers to the Space Station holding various cold stowage items including a series of microbiological studies aiming to demonstrate a set of tools needed to establish a genetic research facility aboard the Space Station. One experiment employs magnetic nanoparticles that attach to cells in order to make handling of cell cultures possible in the microgravity environment while another pair of studies tests whether techniques for DNA replication and in-space sequencing are feasible for the identification of microbes growing on a spacecraft. Cygnus provided a lift for a large number of CubeSats including 28 QB50 satellites from 17 different countries that deployed from ISS in May to begin an unprecedented mission to collect multi-point measurements in Earth’s lower thermosphere – a region spanning from 90 to 380 Kilometers in altitude where previous missions were only able to make sporadic measurements because of the challenging drag environment this close to the planet. Final preparations for Cygnus departure were set in motion on Friday within minutes of the departure of Pesquet and Novitskiy when the Station’s robotic arm, controlled by teams on the ground, was moved from its park position to grasp the Cygnus Power and Video Grapple Fixture that allows the vehicle to be powered through the arm. 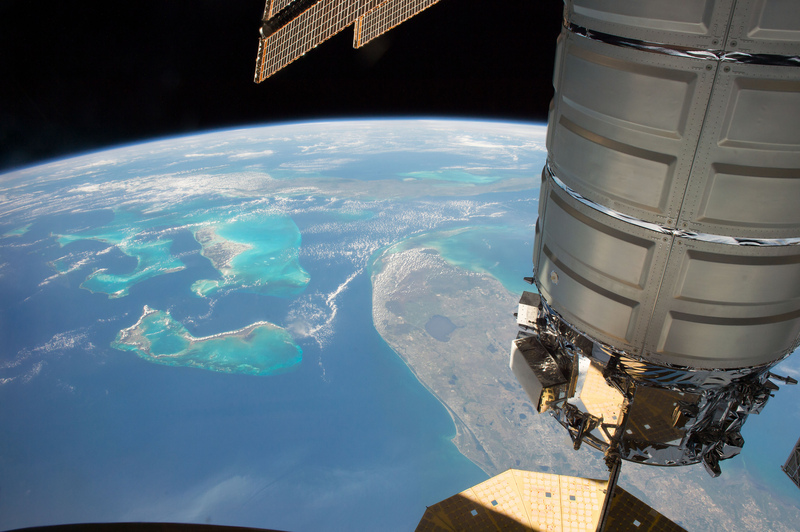 The crew completed procedure reviews on Friday and finished disposal cargo load on Saturday followed by close outs of the pressurized cargo compartment and the closure of the Cygnus hatch. This cleared the way for the lengthy vestibule outfitting task that required the crew to remove power & data jumpers between ISS and Cygnus and re-install four Control Panel Assemblies that are used to drive the bolts within the Active Common Berthing Mechanism. Once these operations were complete, the crew was able to close the Unity module’s hatch and depressurize the cavity between the cargo craft and ISS for overnight pressure monitoring before operations resumed Sunday morning. 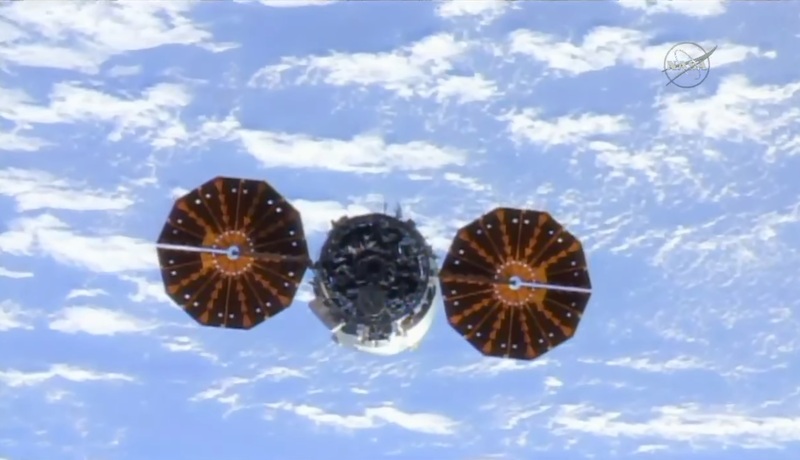 Jumping ahead on the timeline, Mission Control put unberthing procedures into motion at 10:20 UTC – starting the retraction of 16 bolts and opening four capture latches to demate Cygnus from Unity and transfer control of the module to Canadarm2. ROBO controllers on the ground commanded the arm into motion at 11 UTC, starting with a slow back-out from the Unity CBM before the SSRMS picked up the pace to move Cygnus to its release position, around 12 meters from the Station’s modules. In that position, Cygnus waited for its departure time while the crew configured the robotics workstation in the Cupola. The release window – driven by lighting conditions, opened at 13:07 UTC and the crew was given a GO to work through the release timeline at their own pace. Snares within the Latching End Effector were commanded to open and release was confirmed at 13:10 UTC as the arm was slowly backed away from Cygnus to reach a safe distance of 1.5 meters. Release occurred 400km over the South Atlantic Ocean, capping a stay of 43 days, 3 hours and 5 minutes. Cygnus was commanded to recover from three-drift two minutes later and received an abort command, per the planned procedure, to initiate a three-minute maneuver to enter a prograde departure. 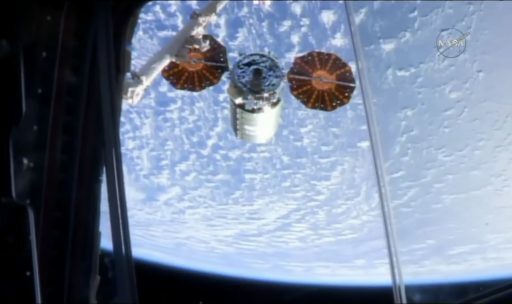 Twenty minutes after release, Cygnus departed the ISS Approach Ellipsoid, ending integrated operations between NASA’s Mission Control Center in Houston and Orbital MCC in Dulles, Virginia. At 17:05 UTC, four hours after release, Cygnus will conduct a 1.4m/s main engine burn to enter an independent orbit for its week-long free flight that will first facilitate the SAFFIRE Experiment, starting later on Sunday, followed by a pair of maneuvers on Thursday to prepare for the release of four CubeSats into a higher orbit than ISS. SAFFIRE-III is targeting initiation at 20 UTC on Sunday as the third run of the Spacecraft Fire Experiment operated by NASA’s Glenn Research Center to study fires in microgravity at a realistic scale to learn about flame progression in the absence of gravity and make better informed engineering decisions to improve the fire safety of future crew vehicles. 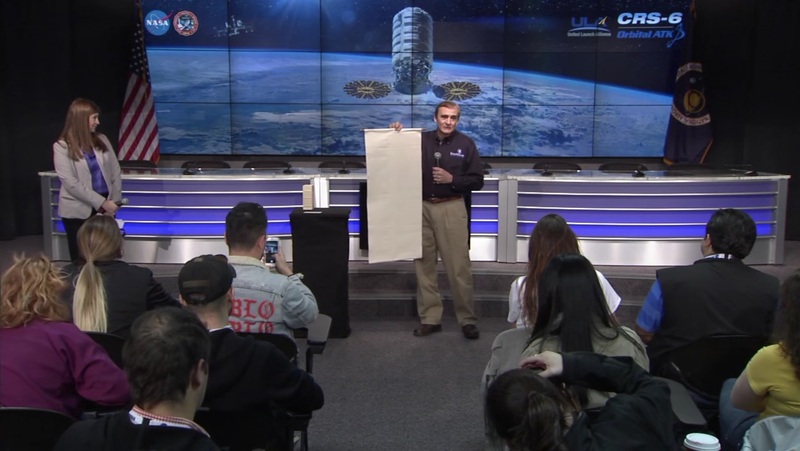 The first SAFFIRE Experiment on last year’s OA-6 mission ignited the largest intentional fire ever set in space, employing an 0.4-meter wide and 0.94-meter long piece of fabric material consisting of a cotton-and-fiberglass blend. This experiment primarily dedicated to studying flame front progression, oxygen consumption and flow characteristics of a large-scale fire in microgravity. SAFFIRE-II, flying on the OA-5 mission, was slightly different in that it used nine smaller sample cards to study the flammability of different materials and thicknesses to deliver valuable knowledge for the selection of in-cabin materials for future vehicles. 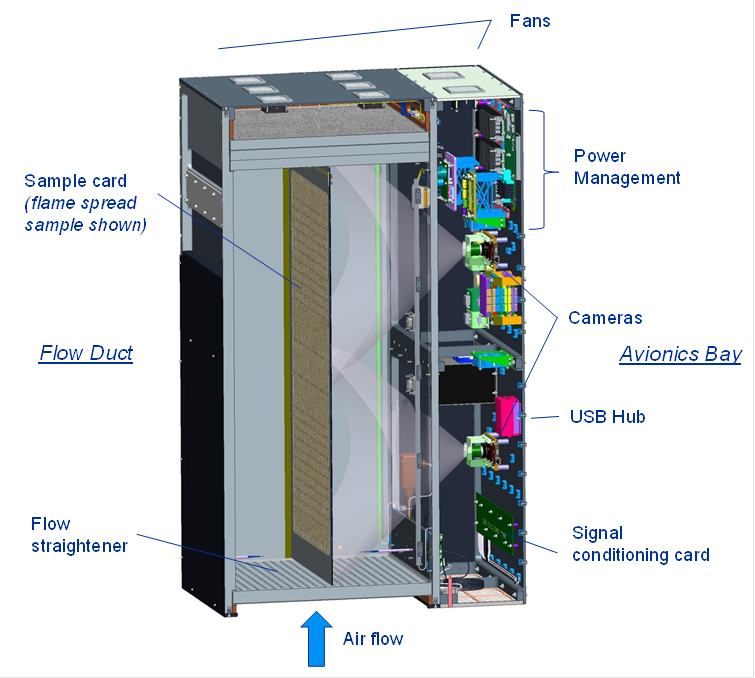 The SAFFIRE-III experiment uses the same setup as the first run but will burn the large sample in different airflow conditions to study the influence of flow dynamics on fire progression. 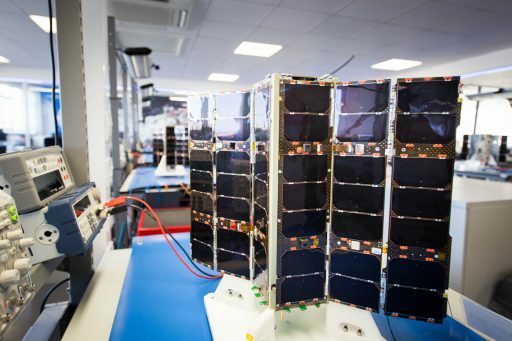 After completion of SAFFIRE, Cygnus will be gearing up for a pair of orbit-raising maneuvers set for 14:57 and 15:48 UTC on Thursday, targeting to place the spacecraft into an orbit 100 Kilometers above that of ISS for the release of four Lemur-2 CubeSats at 20:46 and 23:46 UTC on June 8. 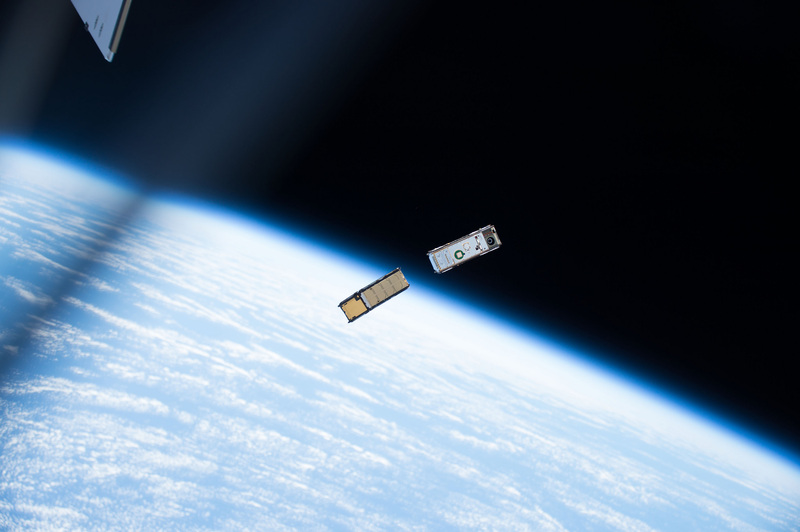 This will give the satellites a longer operational life compared to deployment from ISS into its 400-Kilometer orbit that leads the small satellites to decay in around a year’s time. Cygnus will close out its mission next Sunday via a rocket-powered braking maneuver that will enable the craft to intercept the dense atmosphere over a remote stretch of the Pacific Ocean for destructive re-entry. The demise of the Cygnus spacecraft in the upper reaches of Earth’s atmosphere will be documented by RED-Data2 – a new device around the size of a soccer ball designed for a twofold mission of gathering data on the re-entry dynamics of a large host spacecraft before breaking loose from the structure and experiencing the re-entry environment for itself to test out a pair of new heat shield materials. For the ISS crew, operations will continue full speed ahead with Dragon SpX-11 set for a methodical rendezvous on Monday, targeting a capture time of 14 UTC. 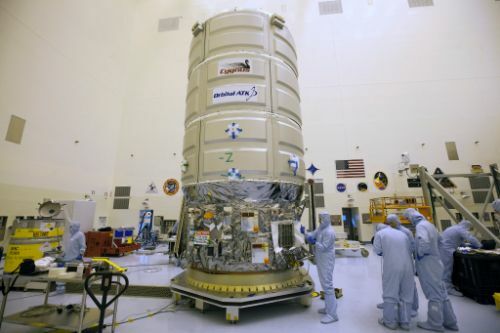 The next Cygnus mission, according to the latest ISS planning schedule, is targeting liftoff atop an Antares rocket on September 12, however, dates this far out are always subject to change given the fluid nature of ISS operations.